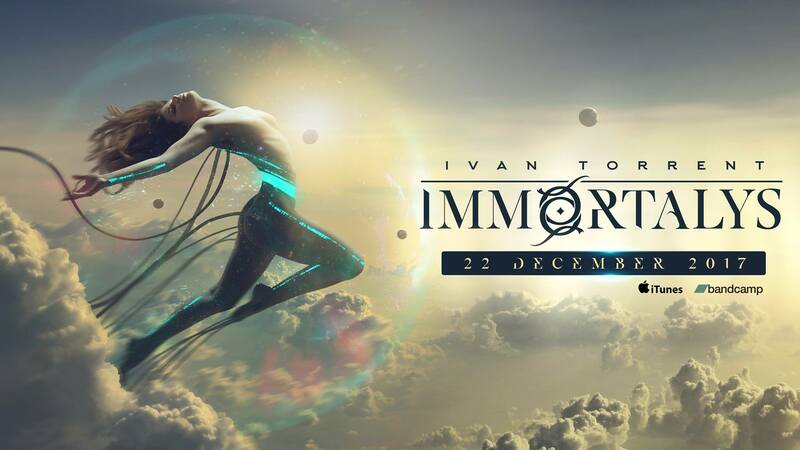 After three years of silence, Ivan Torrent announces his next incoming album: IMMORTALYS, which will be available by December 22th (2017) on iTunes and Bandcamp. All of it led me here and ended up being a dream come true that I’ve called “Immortalys”, a new studio album that includes 18 brand-new tracks. In this project, I’ve tried being loyal to my thoughts and beliefs, but mainly to my way of expressing myself through something as transcendental and universal as the Language of Music. I feel blessed I’ve had the chance to work in this new album with a team full of talent and sensitivity. People like Lara Ausensi, Celica Soldream, Julie Elven, Merethe Soltvedt, Marta Merino (Lady Nüe), Estela Martin, Irene Rodríguez González, and Ola Balcerzak (Alek Balzerak), not only amazing artists but also wonderful human beings that shared with me their personal experiences and emotions. Marcel Sabaté Reixach, Jaume Sabate Reixach, Frederic Descargues and François Ragot, with the amazing musicians of the GIOrquestra, as well as my dear friend the orchestrator Pau Canyigueral, have been crucial in the achievement of this dream. The wonderful artwork of both Carlos Quevedo and David Ariew will dramatically shape the visual soul of “Immortalys” thus bringing you to a magical realm. All of it crystallized into something bigger and more beautiful than I would never imagined. Every form of Art has a creative and sophisticated process that needs time to mature. Every detail must be taken care of to ensure that our hearts are somehow still connected to it. So, I want to thank all of you for your patience as well as the love and caring messages you’ve shared with me during this time. This has been one of the largest challenges I’ve faced in my whole life, but it’s been equally rewarding. I feel proud of the outcome and I couldn’t be happier to finally share it with all of you. “Immortalys” will be available by the end of December on iTunes and Bandcamp stores and I really wish you enjoy it! The exciting new has come along with Ivan’s promotional trailer, in which he counted with talented David Ariew for 3D animation, using the same Carlos Quevedo’s concepts art that will be used for the booklet. Thanks again to David Ariew for his amazing talent, effort and dedication in this wonderful promotional video clip. You rock man!